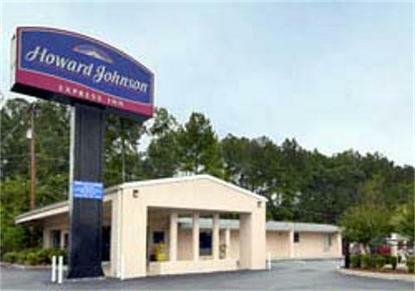 The Howard Johnson Express Inn, a completely renovated hotel in October 2007, is conveniently located near popular local attractions including; Redmond Regional Medical Center, Floyd Medical Center, Berry College, Shorter College, Downtown Rome, and the tennis and baseball stadium - all within 1 mile of the hotel. Oak Hill & Martha Berry Museum and the Cheiftains Museum are located next door. In addition we are only 5 miles from the Stonebridge Golf Course and 6 miles from the Rome airport. We will pick you up from the ROME AIRPORT--please call us ahead of time to make arrangements.All of our rooms feature free wireless hi-speed access, coffeemaker, iron & ironing board, hairdryer, micro-fridge, cable tv with HBO, and in-room safe.For Toll Free Reservations Direct To Property Call 866-781-8884.